Text modules helps to reduce the time in writing the responses for the tickets. Text Modules can include smart variables like the users name or email address. For this, first you need to create the text module.Below is the process defined how to use Text Modules in tickets. 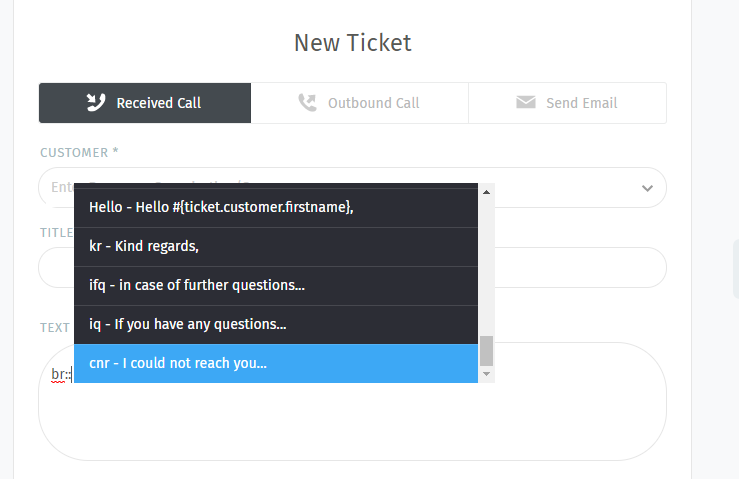 Go to AriticDesk Dashboard > New Ticket.. Enter all the details such as Title, Customer etc. In the “Text” block write the text module code as defined along with double colon(::). The modules will display and you need to select the respective module.